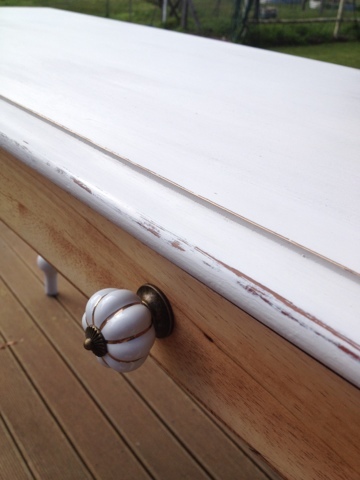 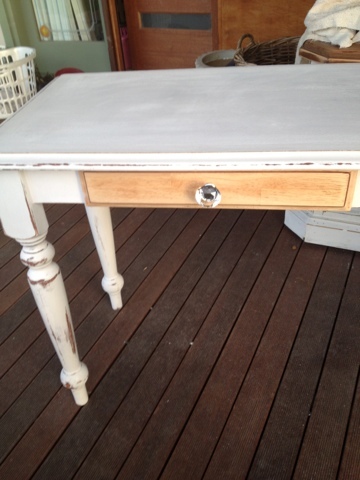 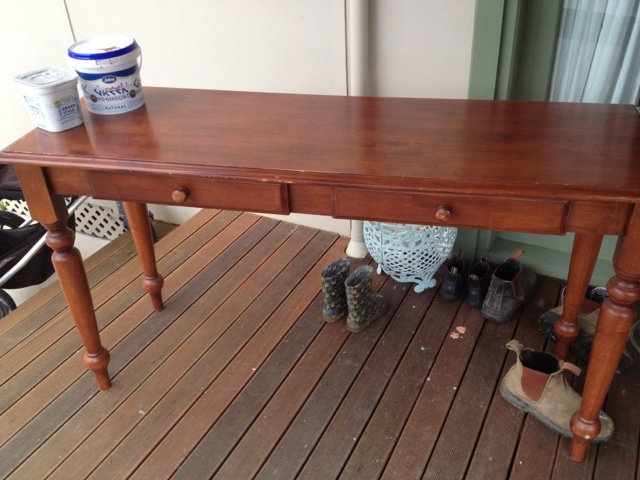 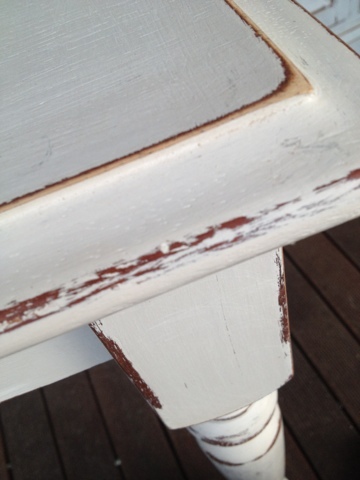 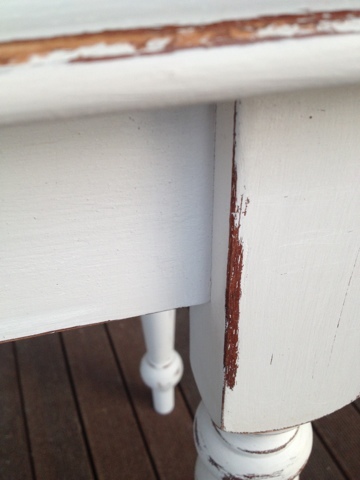 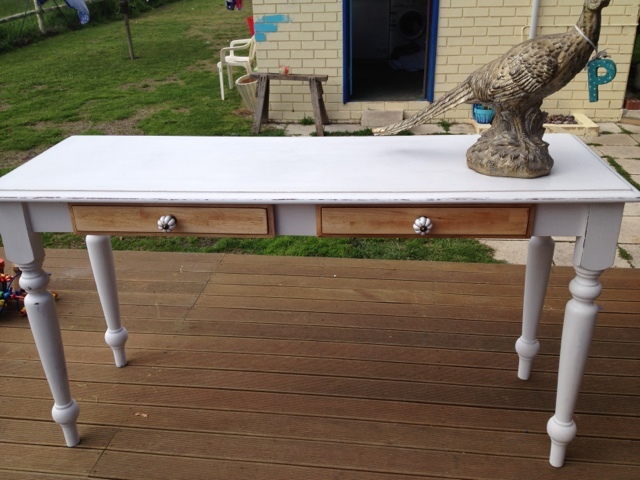 I gave the piece 2 coats of chalk paint and distressed it in all the classic areas to give the impression of age. . 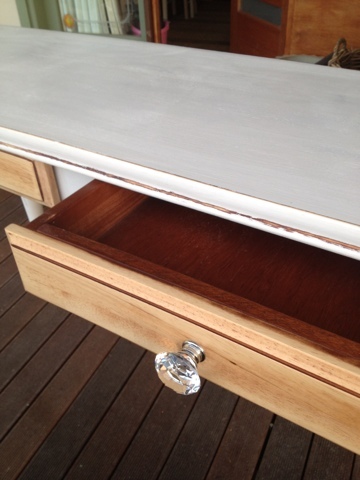 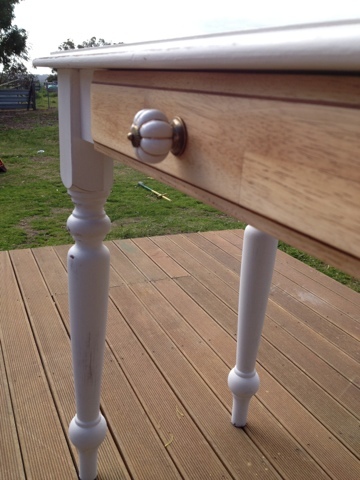 I fancied leaving the drawers paint free and sanding back the drawers to reveal a lighter tone of wood, which looks fab against the light paint work. 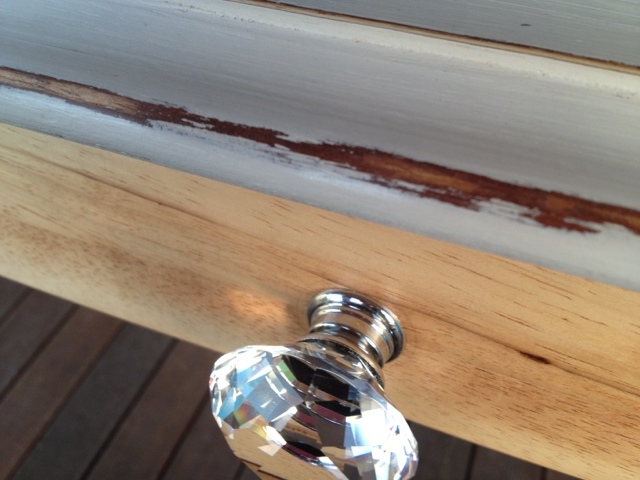 First I tried the crystal knobs, but thought that the more casual look of the white pumpkin style suited the table better.